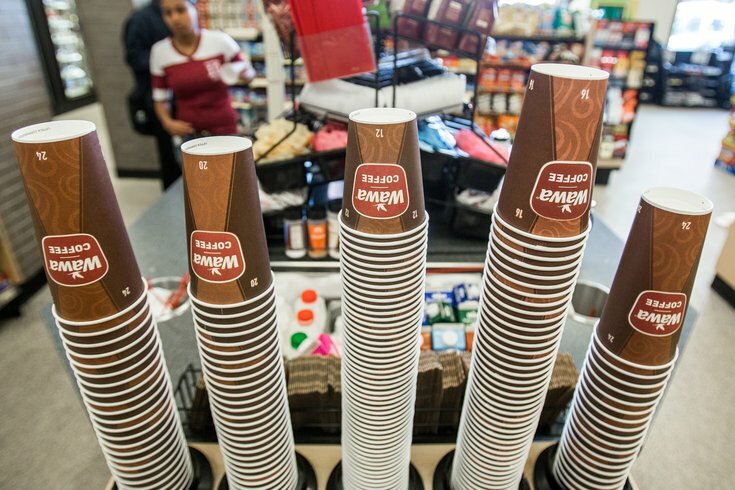 Coffee cups at Wawa in Philadelphia. Wawa is no stranger to lawsuits -- sometimes highly unusual -- and now the chain is facing another on behalf of a family and their three-year-old daughter. Carl and Roya Knozman filed a negligence lawsuit in New Jersey federal court seeking $150,000 in reparations after a Wawa cashier allegedly spilled hot water on their young daughter, resulting in severe burns. The family is also seeking interest and coverage of the family’s legal fees. The family, based in Virginia, was traveling through Monmouth County, New Jersey, during the incident. David Mazie, the family’s lawyer, released a video of security footage that shows the cashier accidentally knocking over a water bottle which knocked over a hot cup of water, spilling on the child. “The cup immediately burst, causing its top to come off and hot water to splash all over her upper body, arms, and torso,” the lawsuit states. According to Mazie, the footage shows the child writhing in pain immediately after the hot water spilled on her. The lawsuit contends that Wawa dispenses water at a “highly dangerous temperature.” NJ.com posted the footage here, reposted below. “We are devastated about this unfortunate accident, and our hearts go out to the child and her family,” said Wawa spokesperson Lori Bruce in a statement. Mazie said the child was taken to the hospital and sustained second and third-degree burns.